Yesterday's honoree, Psi-Ops: The Mindgate Conspiracy, was a largely-forgotten action title with a brand new gameplay style that hasn't been replicated in the decade since its release. Conversely, today's entry, the seventh of the Agency Group, is one of the most cited, acclaimed and referenced in its genre. It's also the rare classic of this nature that failed to spawn a true "franchise", unlike many of its contemporary greats. Its creators are extremely famous and even though it only had the one sequel, it has sold extremely well and been ported numerous times. Appropriately enough, this first game, in particular, has stood the test...of time. Final Fantasy. Dragon Quest. Dragon Ball. Three of the most important series in the history of their respective media, RPGs and manga. Now imagine the creators of those games working together. They did, and the result was SquareSoft's 1995 RPG Chrono Trigger. Sometimes, a "Dream Team" pairing can result in a case of "too many cooks in the kitchen", but here the concoction was a fantastic cap to an excellent era for RPGs on the SNES. From the beginning, the influence of those three luminaries was easily apparent: Akira Toriyama, Dragon Ball's creator, infused the entire universe of the game with a vividness of color and character rarely seen to such a high, well-done degree. As Crono, the lead with bright red hair that immediatly sets him apart, goes to a local fair in the year 1000, his new friend Marle is sucked into a machine and transported 400 years into the past. He dives after her, starting a quest that travels through time and space without a medical practitioner in sight. But, similar to other adventures in relative dimensions, the game lives on the heart of its characters. Crono, Marle, the valiant Frog, Robo, Magus, Ayla, Lucca...this motley crew really seems like a group of dear friends with a collective purpose: to stop one of gaming's most compelling villains, the time-sabotaging creature Lavos. And these friends truly adventure: they travel from 10,000 BC to the End of Time with numerous stops in between. Hironobu Sakaguchi and Yuji Horii brought their expertise from creating the premier RPG series of the previous decade, Final Fantasy and Dragon Quest, respectively, and the polish clearly shows. Chrono Trigger followed up the equally-legendary Final Fantasy VI (III in the US) and managed to match - and in some eyes surpass - that lofty title.The merger of the those two amazing talents brought out the best in both and Trigger carried new ideas into the world that still have not been fully appreciated by modern developers. Most immediately noticeable, this 1995 SNES title had enemies that were visible on screen, instead of randomly fought. And, when you battled them, you simply did so where they were, without transitioning to a battle screen. This wasn't commonly seen again for about a decade due to convention and technology, but Chrono Trigger pulled this off nearly twenty years ago. Furthermore, the game's intricate time travel - which affected large swaths of the game and helped determine which of the thirteen endings you saw at its close - brought unheard of complexity and depth to the plotline without becoming obtuse and it impresses even today. Once you were done you could restart with what you'd earned and explore time differently while pursuing another conclusion. "New Game Plus" sounds like an old, common feature now...Chrono Trigger did it first. Additionally, while famed Final Fantasy composer Nobuo Uematsu helped with some of the music, it was one of the few "rookies" involved in the production who supplied a score that should rank up there with the best of Koji Kondo's Nintendo classics and such modern standouts as Harry Gregson-Williams' work on Metal Gear Solid and Martin O'Donnell/Michael Salvatori's work on Halo. Young composer Yasunori Mitsuda was inspired by his dreams and the score's leitmotif floats throughout the game in a manner similar to the best film suites. Sadly, Square has been remarkably tight-fisted about the series over the years. A successor, Chrono Cross, was released in 1999, though it had none of the characters from the original and felt more like a spiritual sequel than anything else. Two different free, fan-made restorations, including an N64-caliber remake called Chrono Resurrection were shut down within days of their full release and while the trademark "Chrono Break" was registered back in 2002, there's been next to nothing about it since. Fans have had to satisfy themselves with re-releases on the PSX, DS and mobile phones. No matter which angle you approach Chrono Trigger, you'll find greatness. Characters, story, score, graphics, battle style...all are among the best in the genre. And that's why, in short, the entire article could be summarized by this simple statement: for my money, Chrono Trigger is the greatest RPG ever made. 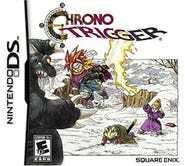 You can buy Chrono Trigger on the DS, download it from the Wii Virtual Console or PlayStation Network, or take it with you on iOS and Android phones. Next up: gotta go fast.